For a while, it seemed like Tyson Tesfariam wasn’t destined to score. 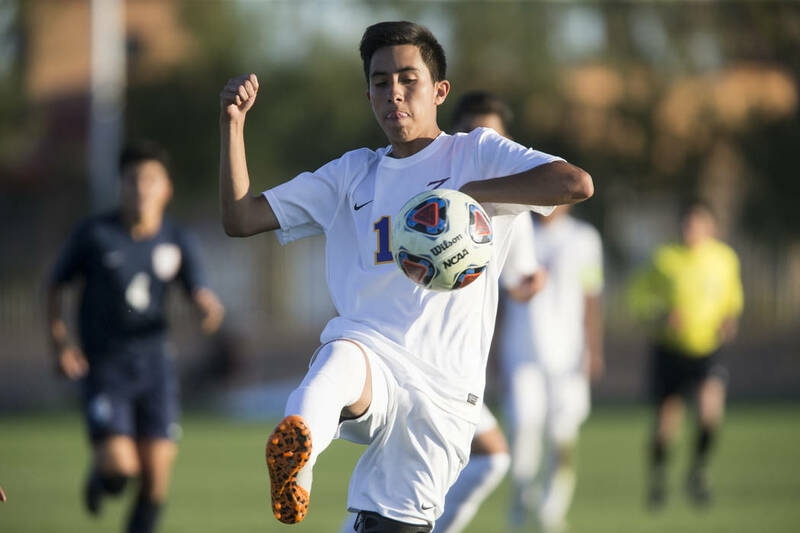 But he stayed the course, scored at the end of the first half, then again in the second to help the Trailblazers’ boys soccer team pull away from Legacy and win 5-1 at Bettye Wilson Park. For a while, it seemed like Tyson Tesfariam wasn’t destined to score. 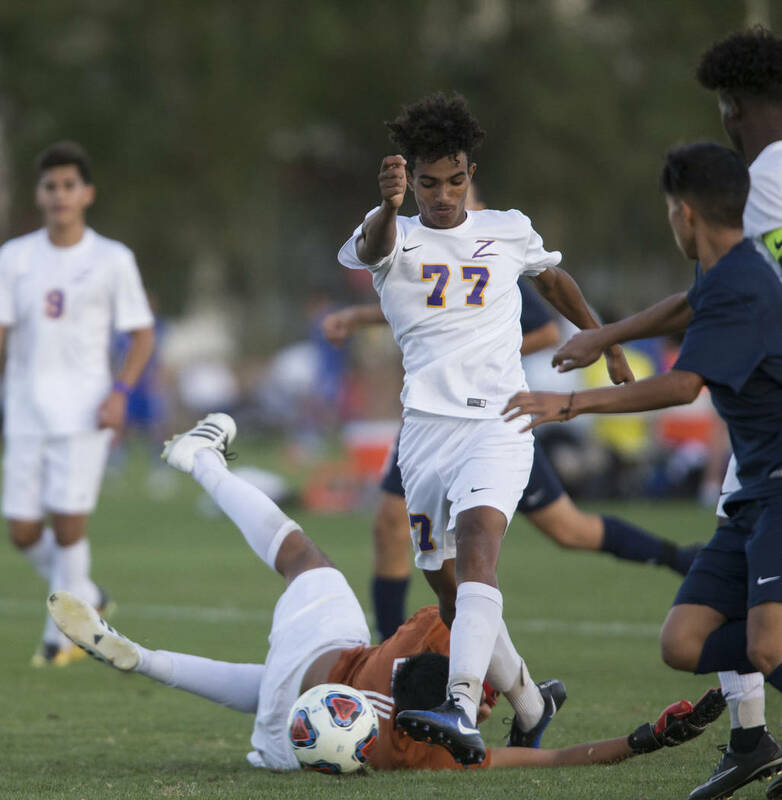 The Durango junior midfielder missed two point-blank opportunities in the first 20 minutes of Thursday’s Sunset Region quarterfinal match but said he never got frustrated. 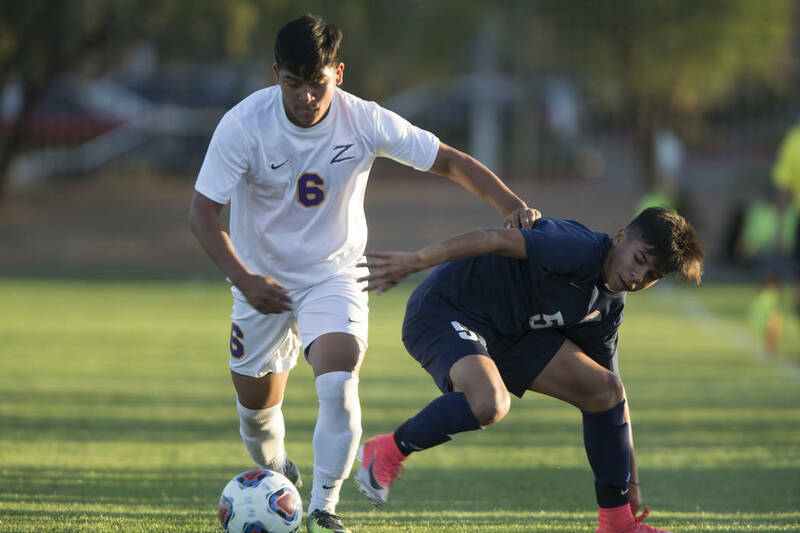 Instead, he stayed the course, scored at the end of the first half, then again in the second to help the Trailblazers’ boys soccer team pull away from Legacy and win 5-1 at Bettye Wilson Park. 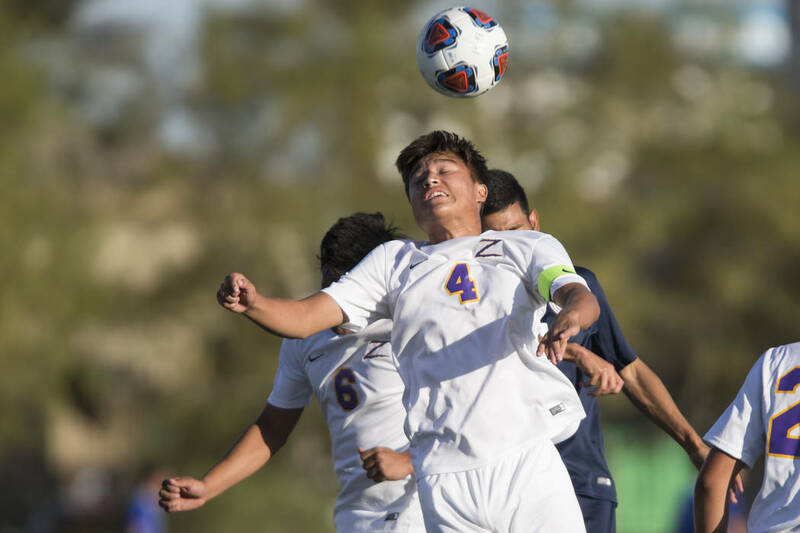 Durango, the Southwest League’s top seed, advances to play Cimarron-Memorial (15-6-2) in the semifinals at 4 p.m Friday at Bettye Wilson Park. 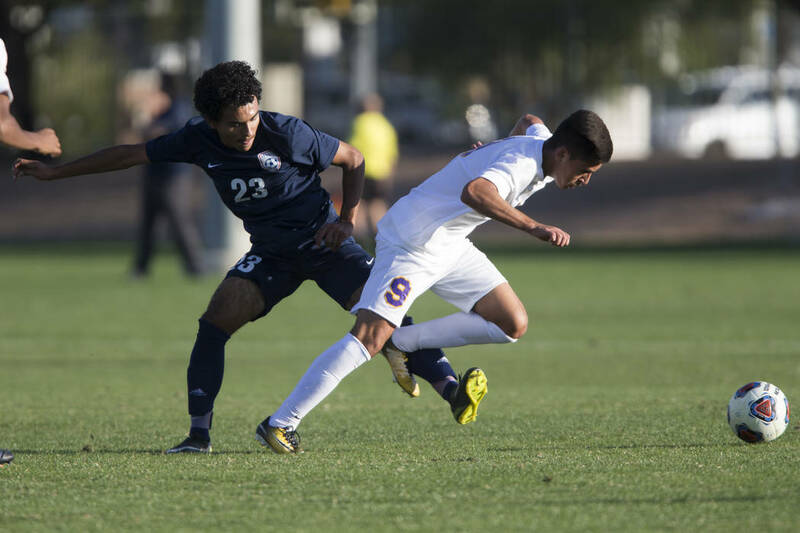 The Trailblazers scored in the ninth minute, then allowed an equalizer in the 14th. 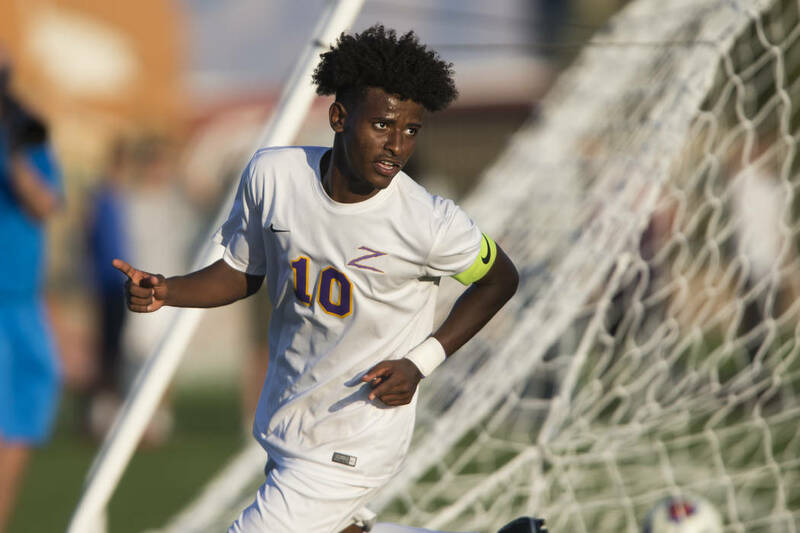 In the 20th, Tesfariam saw an open ball between him and the Legacy keeper. They raced to it, arrived at the same time and the ball bounded backward. 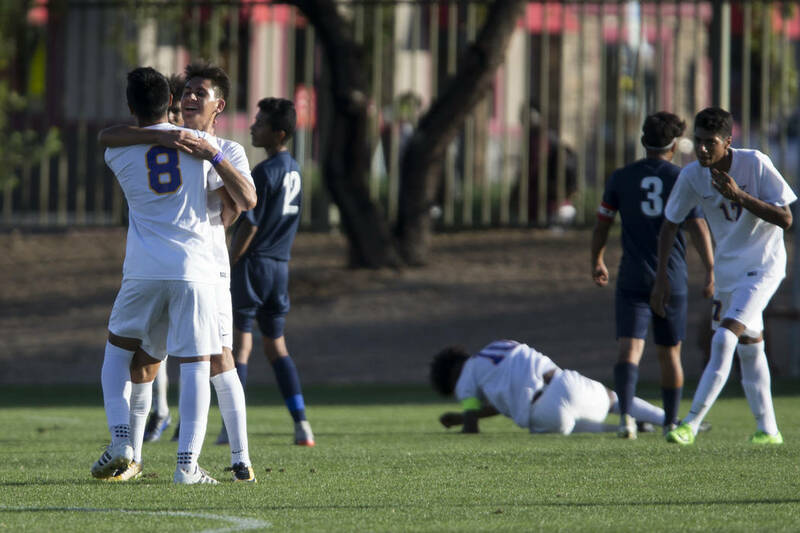 Durango’s Jaime Munguia launched it from near midfield over the outstretched arms of a Legacy defender and into the net for 2-1 lead. 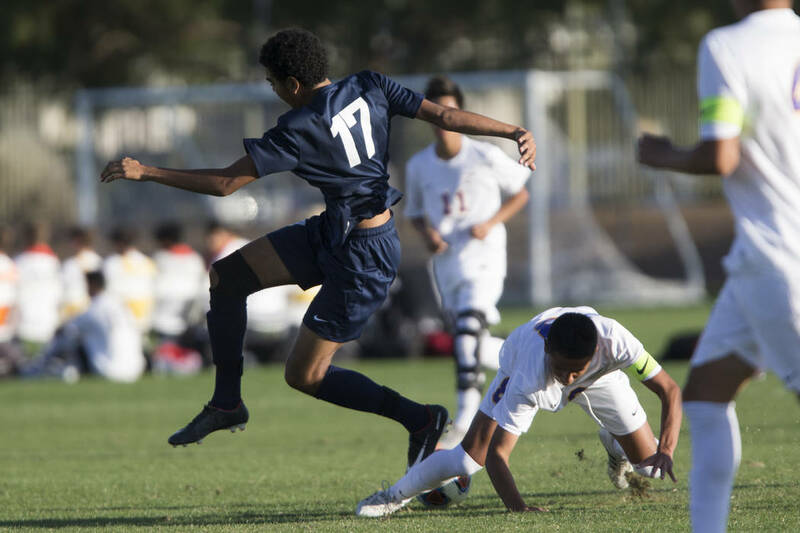 The play drew a red card for Legacy, and the Longhorns (6-9-4) could not recover playing short-handed. 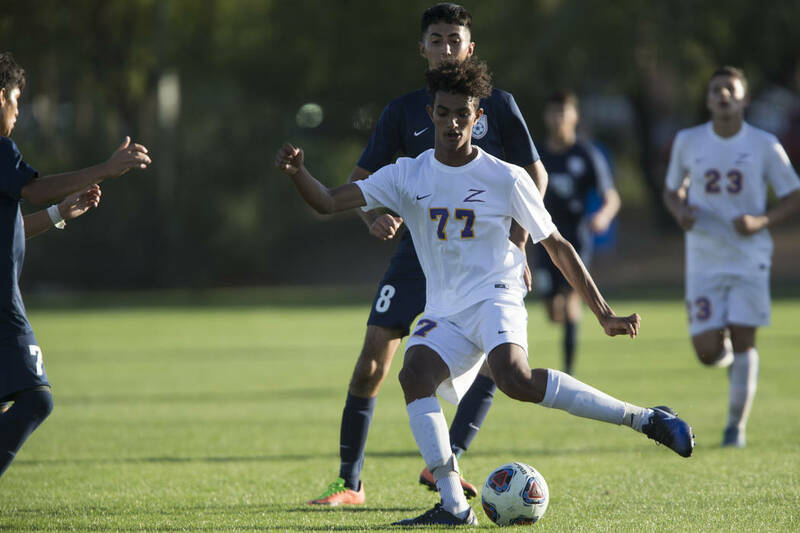 Tesfariam’s karma finally caught up with him, and he put the Trailblazers up 3-1 16 minutes later. 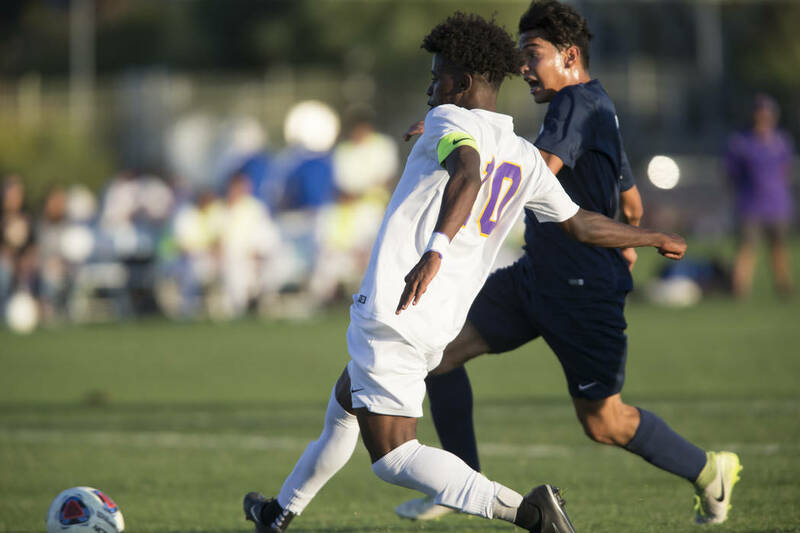 Then he scored again in the 51st minute to put the game out of reach. 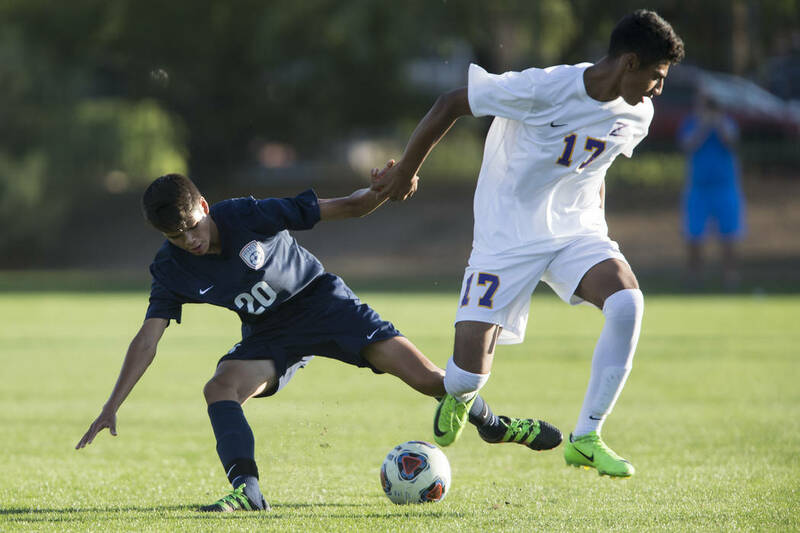 Marcos Delgado and William Hailu scored Durango’s other goals. 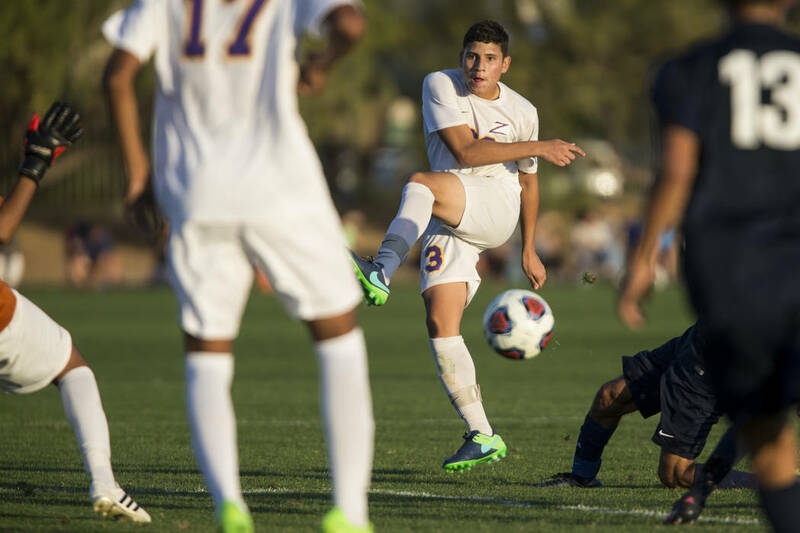 Diego Gonzalez-Ruiz netted the Longhorns’ lone score. 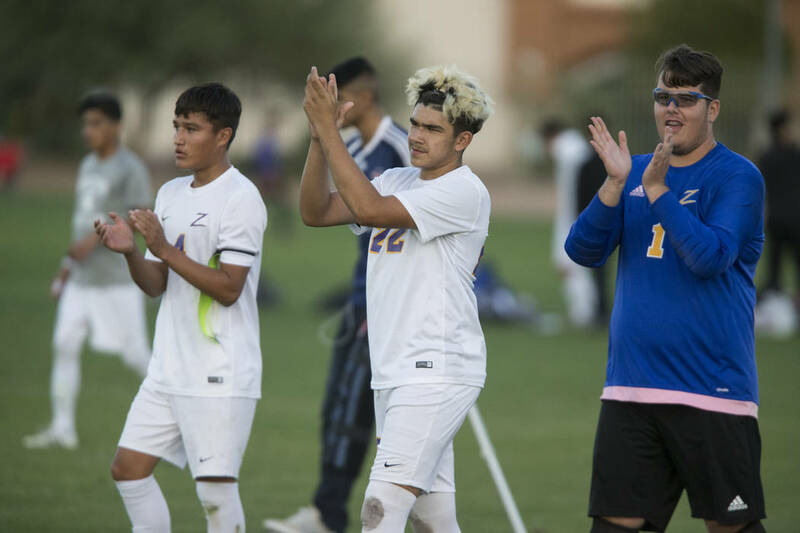 Last year the Trailblazers reached their first state tournament since 2000 by placing second in the Sunset Region and winning the state play-in game. 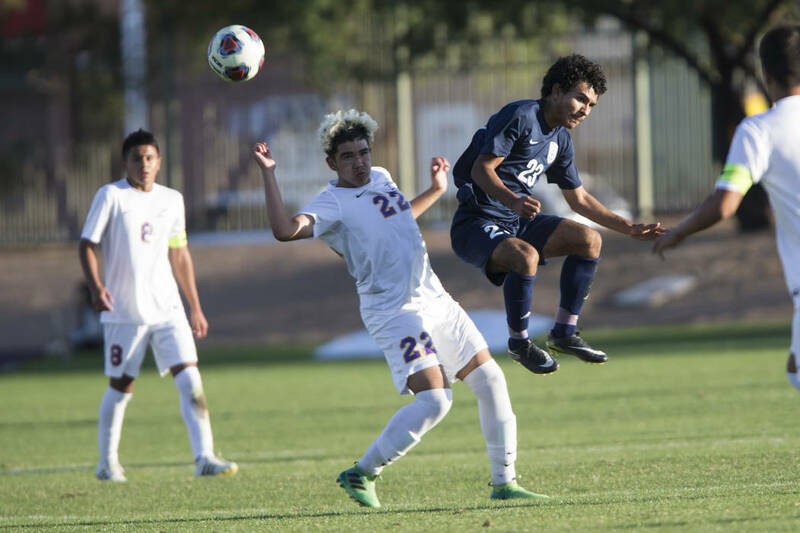 With the tournament held in Reno this year, Cuellar knows his squad will have to win the region title to advance. 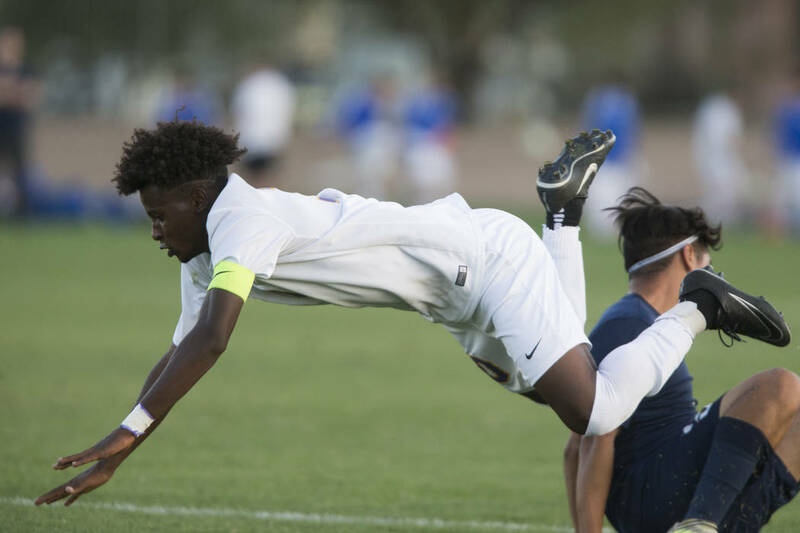 — Bishop Gorman’s Corrigan Neville scored midway through the overtime period to lead the Gaels over Centennial 2-1 in the Sunset Region quarterfinals at Bettye Wilson Park. 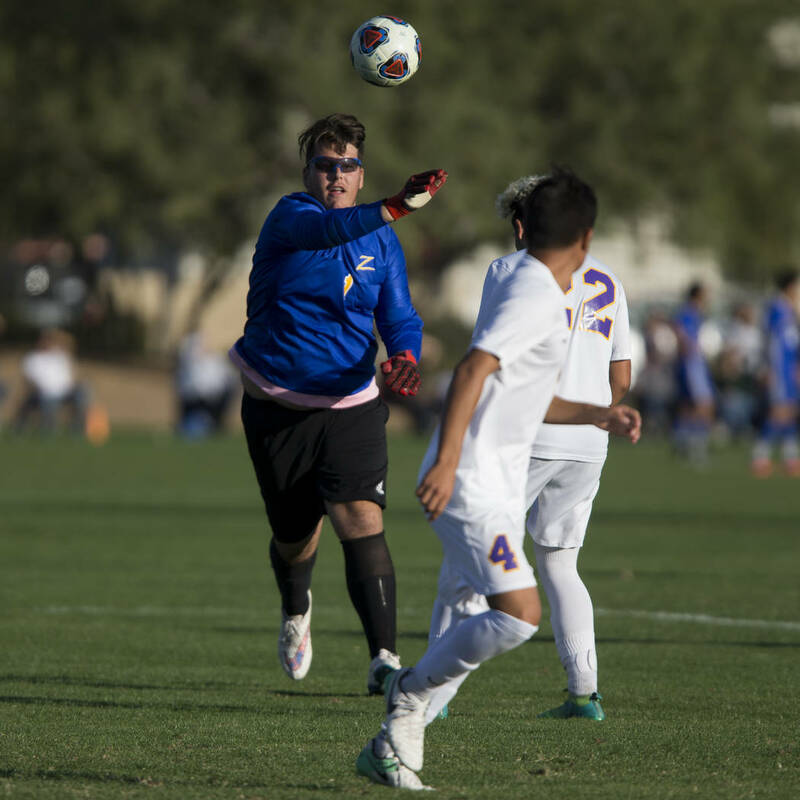 — Rancho keeper Dylan Morgan made a diving save to deny Liberty’s sixth penalty kick attempt and lift his team to a 6-5 shootout victory over the Patriots in the first round of the Sunrise Region tournament at Bettye Wilson Park. The game was tied 1-1 at the end of regulation. 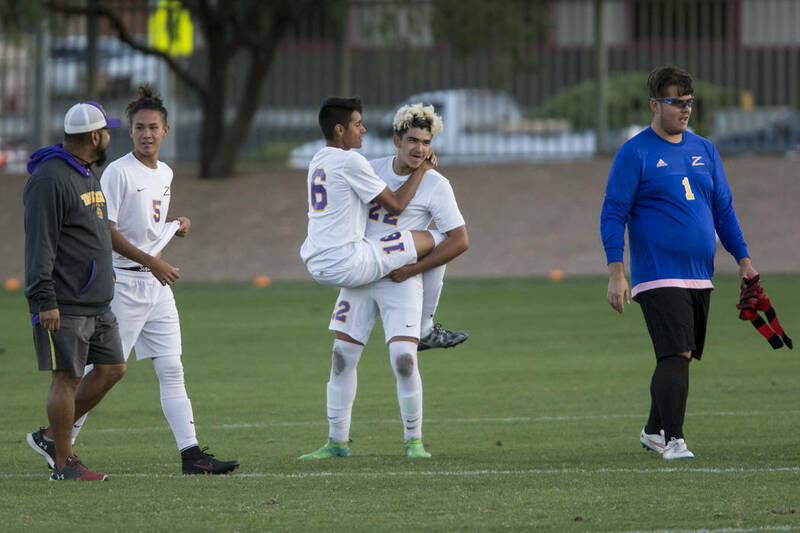 — Alan Lopez scored his second goal two minutes into overtime to lift Tech to a 2-1 victory in the Class 3A Southern Region quarterfinals at Bettye Wilson Park.